Sailboats access Villa Riverfront 3 bedroom 2 bath, pool-Jacuzzi & Boat dock is located in the South SW area of Cape Coral at a upscale river front location among multi-million dollar home direct on the Main River, 6-7 Minutes with boat to the Gulf Of Mexico. The home was recently complete New-Renovated/modernized with top of the line stainless steel appliances, Oak cabinets, Granite counter tops, Italian Tile floors and newer designer furniture's & LCD/TV.s in all rooms and entertainment areas of the home +DVD,CD stereo system. For boaters we offer a 23.6 foot Hurricane Sun Deck boat docked at the property that could be rented along with the home to a reduced affordable price. Contact us for more information. Villa RIVERFRONT are fully equipped for 10 people, Sleep 8 adults + 2 children. A huge size open family room with sectional sofa groups, 52 Inch LCD- TV. KITCHEN: Large open kitchen with bar serving to pool area, stainless steel appliances,Oak cabinets,& Granite counter tops. MASTER BEDROOM: with sliding doors to the Pool area , King Size bed, LCD-T V. Phone. (miles of Water View across the River & the neighborhood City, Fort Myers. MASTER BATHROOM: With Oak cabinets,Italian marble counter tops, Walk in Shower, His & Hers vanities. BEDROOM # 3: with 1 queen size bed , LCD-TV, Office desk, Printer, Copy machine. View Of the river. BATHROOM # 2: with tub & shower, vanities. (Coast Guard Licensed Captain’s with boat. $ 1,000.00 Includes (8) Hours charter, all fees & Taxes up to 8 people, Snacks and soft drinks. Each additional adult $ 40 per person, (BRING YOUR OWN COCKTAILS). with 48 Foot LUXURY MOTOR YACHT. SUNSET CRUISES To Gulf Of Mexico: CAPTAIN MARK with 48 Foot LUXURY MOTOR YACHT. $500.00 Includes 4 Hours Cruise , up to 6 people , soft drinks. PRIVATE CHEF (hire our in house private Chef). cook& serve your unforgettable Gourmet dinner. “Our Chef is a highly culinary educated & awarded chef’. (Ask for sample menu & estimate). 6 Hours US$ 375.00. Full Day US$ 450.00. Includes up to 6 people, fishing permits, fishing rods, bait & tackle, gas & taxes. CAPTAIN PAT will take you out for an unforgettable fishing trip. 'A good way to learn the many water ways and the Gulf Of Mexico, before renting your own boat'. We offer a 23.6 foot Hurricane Sport SUN DECK Boat to much reduced rate when renting our homes. PRICE $795 Includes 7 days boat rental ,Insurance,Tax , delivery/pick up & Captain tutorial safety boat instruction cruise. PRICE $ 455.00 Includes 3 days boat rental, Insurance, Tax & Captain tutorial safety boat instructions cruise. OUR BOATS HAVE GPS, FISH-DEPT FINDER,RADIO-CD, LIVE JACKETS, BIMINI TOP,S AND ARE FULLY INSURED & LICENSED. RIVERFRONT WITH A STUNNING VIEW OVER THE RIVER AND MINUTES WITH BOAT TO GULF OF MEXICO. BEST POSSIBLE AREA AND FISHING FROM YOUR BOAT DOCK. Located direct on the River Just around the corner of the Gulf Of Mexico. Fully equipped for 10 People. Flat screen TV's in all bedrooms + living room and family room + pool area. House was amazing. Pictures on the website did not do it justice. Can’t wait to go back. 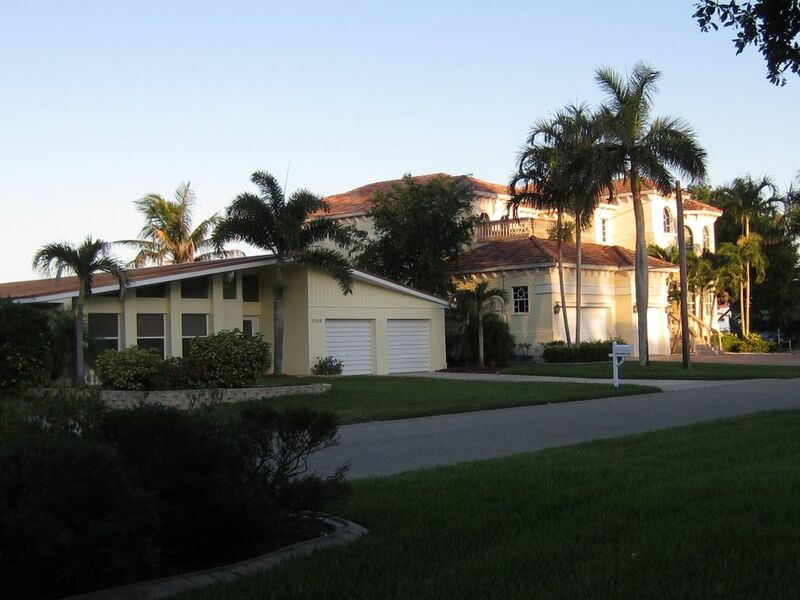 Beautiful house, great location on the inter coastal waterway! Comfortable accommodations, close to great locations, pool and spa are great features, the welcome bottle of wine and coffee were nice touches. We saw dolphins and manatees swim by everyday. The fishing off the dock was a lot of fun.The location of the house on the river couldn't have been better. Yvonne and Chris were great. We can't wait to go back. Hope to hear from you for your next vacation in Cape Coral. Villa Riverfront is located in the south SW area of Cape Coral, Located direct frontage of the Main River in a secluded Premium area among Multi-Million dollars homes with only 5 -6 minutes with boat from the Gulf Of Mexico and with walking distance to the Rose garden & the waterfront Tarpon Point Yacht Club area with waterfront restaurants, live entertainment & shopping. 5 Minutes drive to Cape Coral public beach and downtown. Don't miss out to meet our friends, 'wild playing Dolphins are visiting our boat dock on a daily basis'. 'Please don't feed the Dolphins'. Other Activities: Walking distance to Rose garden Tarpon point Yacht Club with waterfront Restaurants,live entertainment,shopping and daily boat tours to Fort Myers Beach.Tarpon point also host the only 5 star Restaurant Mark 92 in cape Coral.